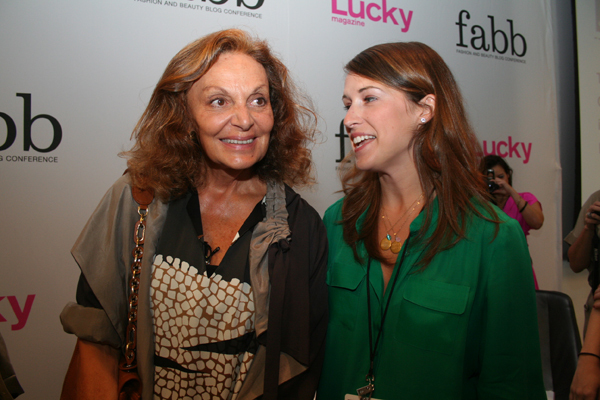 Diane von Furstenburg-one word- Iconic. I have been a fan of Diane's forever. Her pieces are always so classic and I love her moto-"Love Is Life". A year ago I would never have imagined that I would get the opportunity to meet her. When I found out she was the keynote speaker at Lucky FABB I was beyond excited and knew this would be a moment in time to always remember. What's funny now that I look back on this moment is that I don't remember that much about it. I think I had an out of body experience. I remember bits and pieces of her talk but was so stunned by her that parts of it are foggy. Am I the only one who felt like this? What I do remember is how real Diane was. She spoke a lot about being authentic and real with yourself and to always love life. I loved when she went through her whole ensemble telling about each item. Oh and when she told Brandon to ask another question because we needed to catch up on our tweeting! In case you missed her talk I wanted to share with you some things she said that will forever stay with me. Also, if you care to watch her talk at the Lucky FABB conference you can watch it HERE. I think I was telling Diane that I am a huge fan in this photo. The second photo is getting framed and hung up in my office! Thank you to Gina for taking the following two photos! 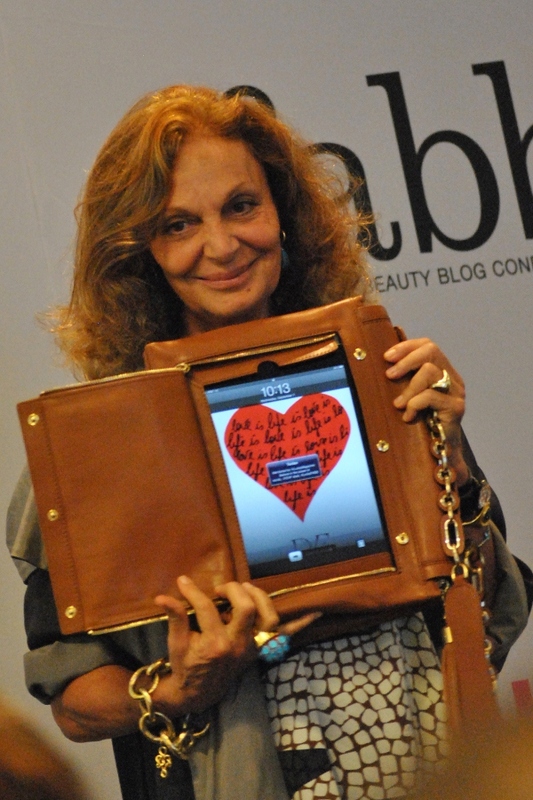 Thank you Diane for taking the time out of your hectic life to come speak at the Lucky FABB conference. Listening to you talk I learned so much about you as well as myself. You are a true inspiration to all women and you motivated me to make more out of my life. Your words of wisdom, humor, strength, courage, power, and inspiration will always stay with me. I can honestly say that on Wednesday, September 7 I not only turned 1 year older (30 years old) but I also turned the page to start a new chapter of my life. A new chapter where I will forever hold your words of wisdom and inspiration at heart. So thank you for being such an amazing woman and for always loving life no matter what. You are not only inspirational but you are a true icon. 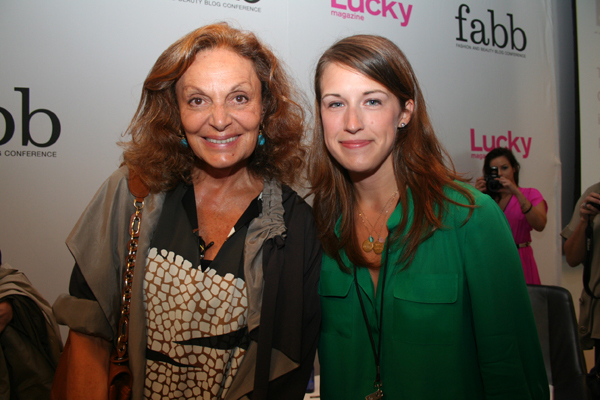 More LuckyFABB recap coming up next week, but for now have a great weekend!